Poor, Bobby! He just wanted to hear Dicker Dicker! — Some Christmas gifts are truly priceless! Pretty genius! 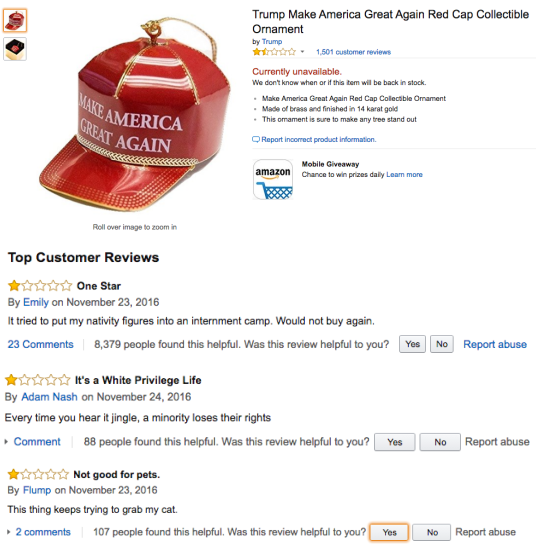 Check out some more of the user comments on people who bought Trump’s ‘Make America Great Again’ ornament on Amazon after the jump!